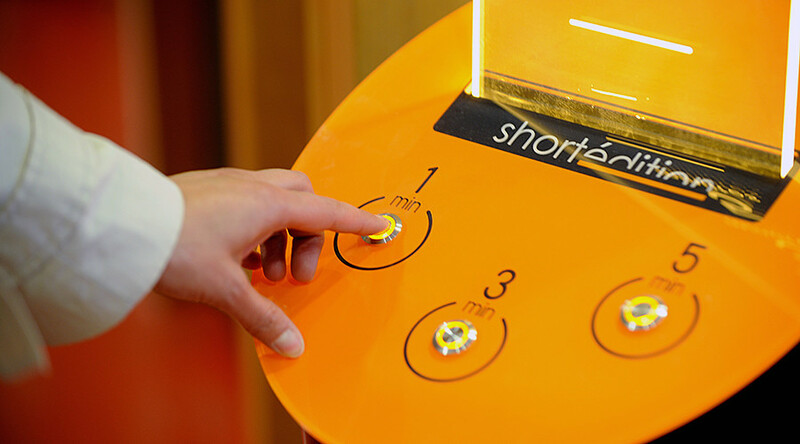 The innovation-friendly Green party mayor of Grenoble, Eric Piolle, has ordered eight vending machines to be placed in the heart of the city that will dispense literary short stories to pedestrians for free at the push of a button. The big orange terminals have three options – stories of 1, 3 or 5 minutes – that are printed out on thin recycled paper reminiscent of a lengthy shopping bill and can be tucked into a wallet. “The idea came to us in front of a vending machine containing chocolate bars and drinks. We said to ourselves that we could do the same thing with good quality popular literature to occupy these little unproductive moments,” Christophe Sibieude, a digital publisher who pitched the idea to the city council, told AFP. Sibieude already runs a successful literary smartphone app called Short Edition that has over 140,000 subscribers who will both read and write their own stories for the printouts. The idea would have been impossible, however, without the input of the mayor – a dashing 42-year-old business-executive-turned-environmentalist. With a population of over 150 thousand, Grenoble is the largest French city to entrust itself to a Green politician. Piolle has made international headlines several times since his election for controversial decisions, such as ordering that all street advertising be banned from the city center and replaced with trees and hedges. He has also cut the speed limit inside the city to 30 km/h and introduced more pedestrian spaces. Several initiatives, such as turning popular shopping streets into bike lanes, have met with severe opposition from local traders, who believe his plans could drive business away from the city center. Although Piolle’s book dispenser plan is innovative, similar stunts to promote reading have already been attempted in other, usually more cosmopolitan, urban centers. Toronto’s Public Library has created pop-up kiosks offering free books at busy train stations, while in California an art collective built a structure out of 50,000 books, which could then be taken away by visitors. By the end of the exhibition, titled Lacuna, almost none remained. But Short Edition hopes its invention will be more than a one-off. “We are getting a lot of requests from all over the world for this invention. Once we will sort out our costs, we will ship these machines anywhere – for maybe a month, several months or even for a few years,” Quentin Pleple, one of Short Edition’s founders, told RT.